After a release break of 8 months, with numerous DJ gigs, setting up a new studio and plenty of bird watching Dominik Eulberg returns with what he is best at: joyous and heartwarming life affirming electronic music. Dominik has always been able to create his own language which cannot be copied and so you can expect another highlight waiting for you here. 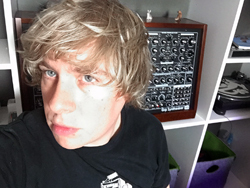 Dominik has been referred to as a "sound sculpturer" by De:Bug magazine and as a mad man by himself who spends months on turning his tracks upside down and adding details. What sounds easy going and light is a result or numerous studio sessions at a volume which has other people leave the studio. 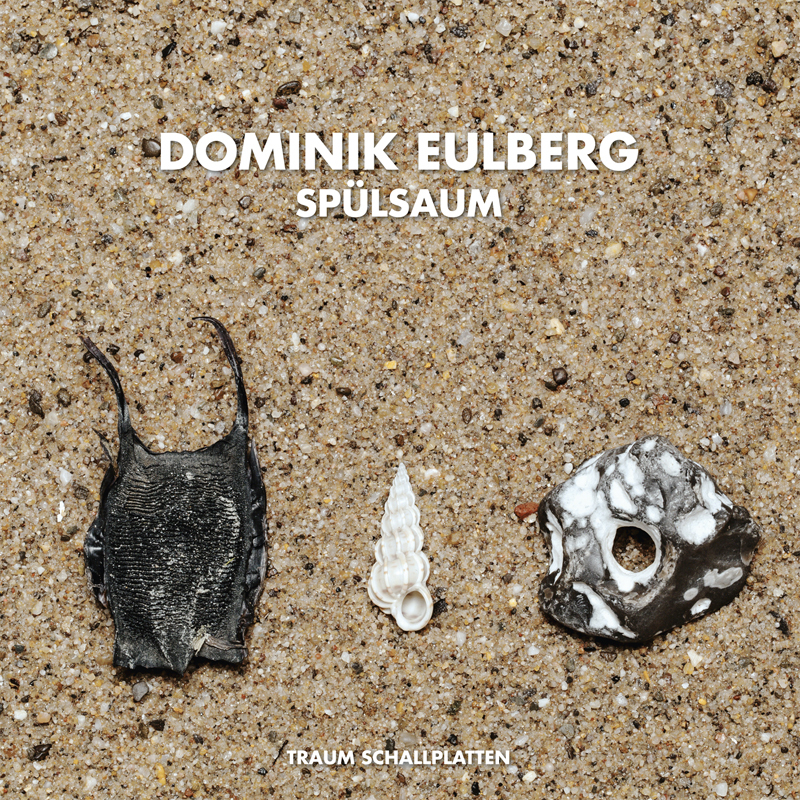 The title of his new EP is "Spülsaum" and can be translated as "drift line". The story connected to this goes back to when Dominik was a park ranger who directed daily guided tours to drift lines in Wangerooge (Nationalparkhaus Rosenhaus, Niedersächsisches Wattenmeer). Musically the track refers to his own private Idaho of music Dominik developed through the years. Music which is not written predominately for DJs or clubs but for his own well-being, but which also works in a way of a catharsis for many people around him. 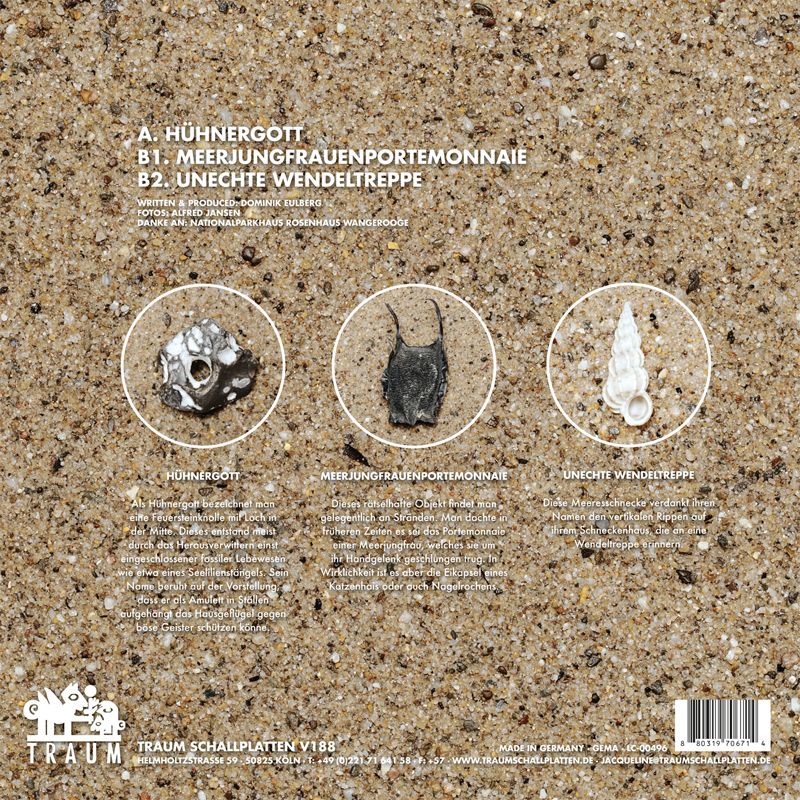 He took his time developing this new style, sneaking in these joyous tunes on various of his Traum EPs when suddenly the track "Die Strandmietze Von St. Peter Ording" created a huge wave with his fans showing how much they approved of it. "Hühnergott" explores this world with narrative brilliance and offers a hilarious musical fairytale, full of colors, with a strong longing for a vast expansive landscape but also for the microscopic animosities of the flora and fauna. Bringing these two ends together really makes the difference and distinguishes his style from so many other melodic trax around today. Technically the song mirrors the liveliness in numerous small changes and infiltrates every possible facet so skillfully it puts a smile on your face and you cannot refrain from smiling while dancing. "Hühnergott" (eng. adder stone or witch stone) is a result of an enclosed Sea Lily that got decomposed. The name origins from the thought that a suspended amulet of such a stone in front of shed would protect the chicken! This track works around a tighter but funky programming and has a strong circular motion. Exhaling string sounds and wrapping them up in speedy melodies that seem to gain speed in the course of the track, spinning like mad, we have another example here of Dominik at his best. And there is no day that we don’t find a new favorite for us on this EP. The "Meerjungfrauenportemonnaie" is a word for an egg of a cat shark clad in a square shaped texture, also referred to as a "mermaid purse". The name origins from times when people thought of it as a portemonnaie of a mermaid which she slung around her wrist. This track is bulky, snotty and nasty piece of techno but not without the Eulberg wittiness. Distorted sequences come in close intervals meeting snippets in the shape of staccato sounds. It all accumulates in a wonderful vintage melody which nourishes the sequences with energy to emerge with double as much strength and turns euphoric within seconds. This seashell owes it's name to the vertical row of ribs (circular staircase) on it's snail shell.